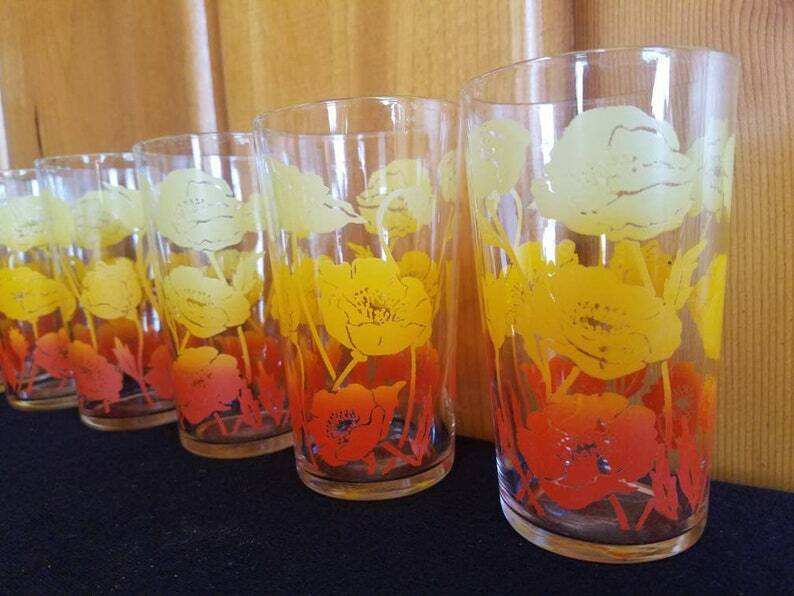 Yellow to Orange faded flower drinkware tumblers swank swag, mid century modern drinking glasses, set of 6. The glasses are in good condition there is some mild wear from use but great for their age. I believe these are by Federal Glass company.They are consistent in their size and design. They measure 4 3/5" tall and 2 3/4" wide tops and base of 2 1/4". Bumble bee tumblers by Anchor Hocking vintage drinkware with bees printed on them beautiful sturdy glasses.